Showing appreciation for gifts of money will give a warm fuzzy feeling to the people who were kind enough to give you that cash. 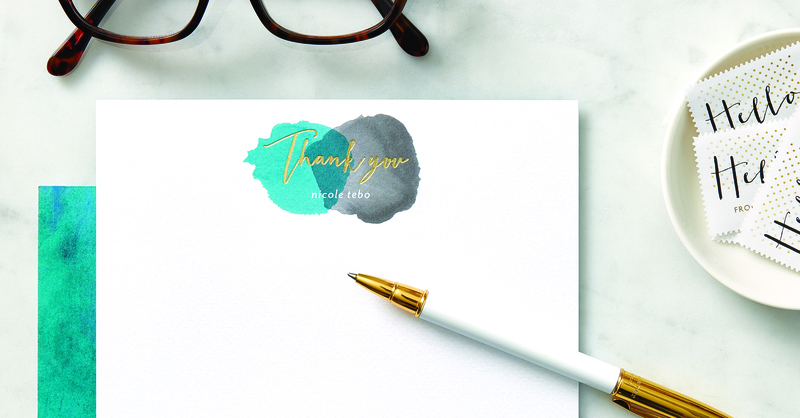 Below are several thank you note wording examples that you can use when figuring out what to say in your greeting card. Don’t worry about being poetic. The words used when writing your thank you notes should best reflect your own voice and the way you speak in person when talking to others. As long as the thoughts you express are heartfelt and sincere, at the end of the day that’s really what matters most! I was so happy that you could join me for my special celebration. You’re always the life of the party and this event was no exception. The DJ was working hard to keep up with all our special music requests! Out on the dance floor we were killing the game! I loved that you had a chance to meet some of my friends from college. Thanks also for the very thoughtful cash gift. The money will be put to good use right away. This weekend I need take my car in for a set of brand new tires and brakes. Safety first! Thanks again for everything. When I opened up my email this morning and discovered a sweet bridal shower message from you, I was filled with so much love and gratitude. And thank you for sending a thoughtful money gift to me via Paypal. That was so sweet and very generous. I really appreciate that. And what a great suggestion that I use it to purchase a Breville Sous Chef food processor like the one you have. I’m planning on ordering one online today. And being that you’re such a fabulous fabulous baker and cook, I would absolutely love it if you would share your top 10 favorite recipes with me. Thanks again for the gift of money. That was such a wonderful bridal shower gift! I love it that you stopped by my graduation party to join the fun! Thank you for leaving a fun musical grad card in the big greeting card box that my aunt made for the gift table. I really enjoyed it. And thank you for the cash graduation gift. That money will come in very handy when I start shopping for some shirts, slacks, a jacket and new shoes for interviews. Send a few good luck wishes my way for finding a great job that pays well. Thank you for stopping by my office to wish me a happy birthday! That was so incredibly nice of you. Thanks also for the sweet gift of a card, a pink balloon and a cash gift for a mani/pedi. I felt so incredibly special and pampered. I’ve already made an appointment at the nail salon for Friday during lunch. Thanks again for your thoughtfulness.